Travel back in time and learn about Los Angeles and La Fiesta De Las Flores. We will ride bicycles very slowly (mosey) through the old Fiesta parade route and visit a few sites where the Fiesta was celebrated. We will talk about LA's booming development and the people who made it happen. We will visit LA's flower market and we will have our very own Fiesta De Las Flores parade. 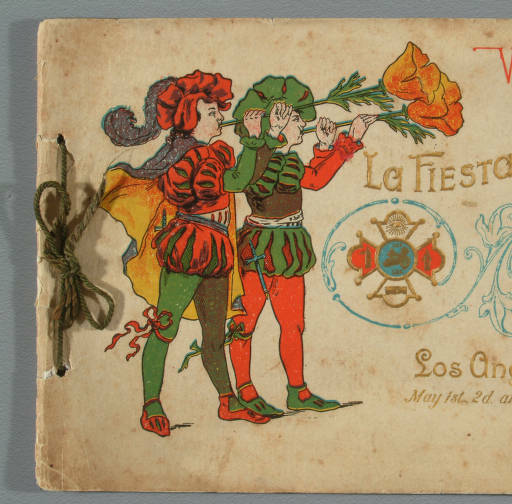 In 1894, Los Angeles celebrated its first Fiesta De Las Flores. A festival of all nations, a week of festivities throughout Los Angeles. Which included a Gala Theater Party and a concert. A citrus art show and flower exhibition, a childrens parade and a workingmans parade. There were daily parades featuring different groups of nations and every evening there was a grand ball. The parades included a fleet of florally decorated vehicles, wagons and bicycles. Some of them wagons were owned by local business firms. Part of the first parades was a highly ornamented ceremonial dragon, three blocks long, imported from China. There was also a "Queen" of the Fiesta and events happening all over the land and lasted a whole week long. This bicycle tour is for riders of any skill level.